Iris scanner support: A number of iris capture cameras and multi-modal face-iris devices are supported by software. 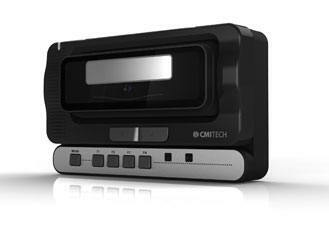 Face capture camera support: A number of face capture cameras and web cams are supported by software. 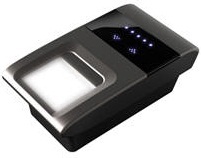 It allows you to create image of biometric data along with data stored in the database. MINEX compliance: fingerprint technology was recognized by NIST as fully MINEX compliant. Logs can be easily imported to attendance System. 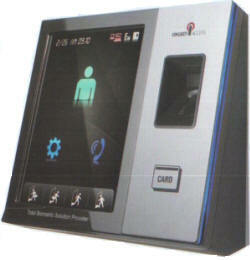 Unibiometric systems are simply getting outdated with the evolution of multi-biometric systems. By combining the biometric traits for identification and verification, a multi-biometric system is considered to be far better performer than its traditional counterpart, which used only single biometric trait for the same. To understand the difference in a better way, here are some of the advantages of biometric products with multiple biometric traits. More Universal Approach: A multi-biometric system is known to follow the universal approach, by offering more than one option to get enrolled with the system. For instance, in case a person is not able to provide his or her fingerprints as biometric samples, a multi-biometric system can use some other trait for the process of enrollment. Thus, a flexible approach can be followed that remains impossible with unibiometric systems. Easy Search in Large Biometric Database: A huge biometric database can be made search efficient by employing more than one biometric trait as the search criterions. For instance, a biometric search can return the list of various individuals sharing similar facial traits using the features of face. 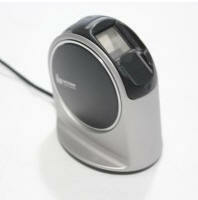 Then, the list can be searched using fingerprint samples to figure out the exact individual. Quality of Search Data: Consider the situation in which, a unibiometric system uses voice patterns to identify the individuals, but fails to do so because of a noisy data signal captured by the reader. To handle the situation, an additional trait can be integrated with the existing one to ensure good quality of data used for searching through the biometric database. Better Security: The multi-biometric systems enhance the level of security, which indeed is the most important aim to be achieved with biometric applications. The people with bad intentions might get successful in cheating a unibiometric system, but the multi-biometric systems are difficult to be deceived. It is nearly impossible for the criminals to obtain two traits of the same individual. Thus, a sophisticated level of security helps the multi-biometric systems to perform better than the traditional systems. There has been heated researches made to have multimodal biometrics be a method that overcomes the limitations of unimodal biometric technologies. Multimodal biometrics is recommended as a way to improve user authentication through biometrics of greater reliability. A single biometric feature can be extracted through different sensors. For instance, we can use optics-, ultrasound-, and semiconductor-based sensors. A number of biometric features can be captured simultaneously for authentication. 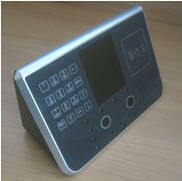 For example, facial and fingerprint identification can be used at the same time. However, this method is not recommended due to its high cost. 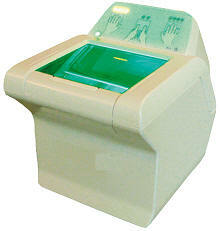 Various units can be used for one biometric feature. Multiple units can often be provided by natural human physical structure such as through the user’s two irises and ten fingerprints. A disadvantage to this method is that it can make a user uncomfortable when capturing his or her biometric feature samples. The process can also take a long time. This means that pieces of biometric information of one feature are taken at different instances by one sensor. 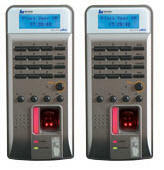 One example of this method is to capture a fingerprint a number of times with a sensor or to sample a voice or a face multiple times for later use. Multimodal biometrics requires more time to work with the information and develop an appropriate system than a unimodal biometrics does since several modules are put in use. For that reason, if a unimodal method can assure the users of high enough dependability in a given circumstance, it may not be necessary to employ a multimodal biometric method. If the greatest degree of reliability is required, however, it may become necessary to adopt a multimodal biometric method in order to ensure any possible advancement. Biometrics is includes fingerprints, hand or palm geometry, retina, iris, and facial characteristics, whereas behavioral characteristics include signature, voice (which also has a physical component), keystroke pattern, and gait. While some technologies have gained more acceptance then others, it is beyond doubt that the field of access biometrics has gained a measure of acceptance. For a high security site, they might require Multimodal Biometrics. We have partners in Benin,Botswana, Burkina,Burundi, Cameroon, Cape Verde, Central African Republic, Chad, Comoros, Congo, Congo, Sierra Leone , Somalia, South Sudan, Swaziland, Tanzania, Togo, Zambia, Zimbabwe for biometrics fingerprint systems. -Some of our partners can serve other Africa countries like Democratic Republic of Djibouti,Equatorial Guinea Eritrea, Gabon, Gambia, Ghana, Guinea, Guinea-Bissau, Ivory Coast, Lesotho, Liberia, Madagascar, Malawi, Mali, Mauritania, Mauritius,Mozambique, Namibia, Niger,Rwanda,Sao Tome and Principe, Senegal,Seychelles for Biometrics , RFID and software solutions. -We have served ID projects in Argentina, Bolivia, Brazil, Chile, Colombia, Ecuador, Guyana, Paraguay, Peru, Suriname, Uruguay, Venezuela. Other regions served by us are Antigua, Australia, Bahamas, Barbuda, Fiji, Barbados, Kiribati, Belize, Marshall Islands,Dominica, Micronesia, Dominican Republic Nauru, El Salvador, Tuvalu, Panama, Vanuatu, Saint Kitts and Saint, Nevis Lucia.